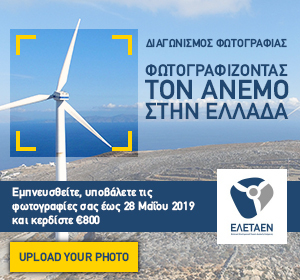 φθάνοντας συνολικά τα 487 GW. 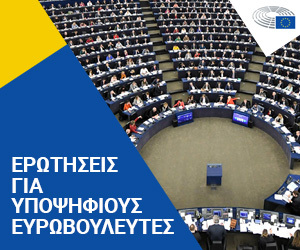 Το Παγκόσμιο Συμβούλιο Αιολικής Ενέργειας (GWEC) του οποίου εθνικός εκπρόσωπος είναι η Ελληνική Επιστημονική Ένωση Αιολικής Ενέργειας (ΕΛΕΤΑΕΝ), ανακοίνωσε τα παγκόσμια στατιστικά στοιχεία αιολικών εγκαταστάσεων για το 2016. Η Κίνα, οι ΗΠΑ και η Γερμανία κατέχουν τις 3 πρώτες θέσεις και ακολουθούνται από την Ινδία, Βραζιλία, Γαλλία και Τουρκία. Η γειτονική χώρα εγκατέστησε 1,387 MW μόνο το 2016, σχεδόν 60% του συνόλου των αιολικών εγκαταστάσεων της Ελλάδας. Από τα συνολικά 54 GW νέας ισχύος αιολικής ενέργειας που προστέθηκαν παγκοσμίως το 2016, φθάνοντας συνολικά τα 487 GW, η Κίνα εγκατέστησε 23,38 GW, και παραμένει πρώτη δύναμη, ενώ αναδείχτηκε και τρίτη δύναμη σε θαλάσσια αιολικά πάρκα ξεπερνώντας τη Δανία. Οι ΗΠΑ εγκατέστησαν σχεδόν όσα και το 2015, 8,2 GW, φθάνοντας συνολικά τα 82 GW, ενώ άλλα 18 GW είναι υπό κατασκευή, προοιωνίζοντας μεγάλη αύξηση για το 2017. Η Ινδία πραγματοποίησε νέο εθνικό ρεκόρ με 3,6 GW, εξασφαλίζοντας την 4η θέση στις εγκαταστάσεις του 2016, αλλά και τη 4η θέση συνολικά με 28,7 GW. The Global Wind Energy Council released its annual market statistics today: the 2016 market was more than 54 GW, bringing total global installed capacity to nearly 487 GW. Led by China, the US, Germany, and India; and with surprisingly strong showings from France, Turkey and the Netherlands, the global market was nonetheless less than 2015′s record total. “Wind power continues to grow in double digits; but we can’t expect the industry to set a new record every single year”, said Steve Sawyer, GWEC Secretary General. “Chinese installations were an impressive 23,328 MW, although this was less than 2015′s spectacular 30 GW, which was driven by impending feed-in tariff reductions. Also, Chinese electricity demand growth is slackening, and the grid is unable to handle the volume of new wind capacity additions; although we expect the market to pick up again in 2017.” The Chinese offshore market began what many hope is the sector’s long awaited take-off in 2016, with China passing Denmark to achieve 3rd place in the global offshore rankings, after the UK and Germany. US installations (8,203 MW) were nearly equal to 2015′s strong market, bringing the US total to more than 82 GW. The US industry now employs more than 100,000 people and has more than 18 GW under construction or in advanced stages of development, a harbinger for a strong market again in 2017. Canada (702 MW) and Mexico (454 MW) posted solid though modest gains. Europe had a surprisingly strong year, given the policy uncertainty which plagues the region, posting modest gains with an annual market of 13,926 MW of which the EU-28 contributed 12,491 MW. Germany also had another strong year, installing 5,443 MW to bring its total capacity to more than 50 GW, only the third country to reach that milestone. France had a strong year with more than 1,500 MW, and Turkey broke the 1 GW barrier for the first time, installing 1,387 MW. The Netherlands entered the global top 10 in terms of annual market for the first time, with 887 MW, most of which was offshore. “The cost of wind power continues to plummet, and this is particularly the case for the European offshore sector, which has met and exceeded its 2020 price targets by a substantial margin, and five years early”, according to Sawyer. Brazil once again led the Latin America market, although the country’s political and economic woes resulted in a market which barely cleared 2 GW (2,014 MW), but which still pushed the country over the 10 GW mark as it ended the year with 10,740 MW. Chile posted a record year with 513 MW installed, bringing the country’s total to 1,424 MW, and Uruguay added 365 MW for a year-end total of 1,210 MW. Peru (93 MW), the Dominican Republic (50 MW) and Costa Rica (20 MW) also had significant installations last year. While Argentina had no new installations in 2016, it now has a solid pipeline of more than 1,400 MW which will be built out over the next couple of years. Africa was quiet, with only 418 MW installed in South Africa, whose Renewable Power Programme is currently being held hostage to a power struggle between the president, his cronies and Eskom on the one hand; and the energy regulator, the Ministry and the industry on the other. Elsewhere, Morocco had a successful auction for 800+ MW of wind which will be built out over the coming years, construction was nearly finished on the Lake Turkana project in Kenya; but Egypt’s renewable ambitions seem to be stuck for the moment. The Asia Pacific region was also quiet, with only Australia adding capacity (140 MW) although there are signs of a strong revival in the Australian market. “Overall, the industry is in pretty good shape”, concluded Sawyer, “with new markets emerging across Africa, Asia and Latin America, and the traditional markets in China, the US and Germany continuing to perform well.